It is now appreciated that cancers can be composed of multiple clonal subpopulations of cancer cells which differ among themselves in many properties, including karyotype, growth rate, ability to metastasize, immunological characteristics, production and expression of markers, and sensitivity to therapeutic modalities. Such tumor heterogeneity has been demonstrated in a wide variety of animal tumors of differing etiology, tissue and cellular origin, and species. It has been shown in autochthonous, as well as transplanted, tumors. Similar results have been reported for human cancers, although much of the evidence that heterogeneity of human cancers, also reflects, at least in part, the existence of clonal subpopulations, is still indirect. Heterogeneity is not a unique property of malignancy. Preneoplastic tumors, as well as normal tissues, are also composed of cellular subpopulations. Proposed mechanisms for the origin of tumor heterogeneity include coalescence of multiple foci of cancer clones and the generation of diverse subpopulations from a single clone. This latter process could be due to genetic errors arising from classical genetic mechanisms or to the production of cellular variants as in normal tissue differentiation. Indeed, certain tumor subpopulations have been shown to produce variants at high frequency. In some cases this frequency can be modified by environmental circumstances. Nontumor cells may also contribute to production of cancer cell variants, perhaps, in the case of infiltrating phagocytic cells, by producing mutagens or by somatic hybridization with cancer cells. Production of tumor cell variants is a dynamic process which can occur at any time. Although tumors are mixed populations of cells, knowledge of the characteristics of individual components is not sufficient to predict the behavior of the whole. Individual cancer subpopulations can interact to affect each other's growth, immunogenicity, ability to metastasize, sensitivity to drugs, and clonal stability. The existence of multiple, interactive subpopulations provides a basis for the well-known phenomenon of ‘tumor progression’ in which tumors undergo qualitative changes in characteristics over the course of time. Selection of subpopulations better able to survive changing environmental circumstances allows for such changes as autonomy in regard to endogenous growth regulation, more ‘malignant’ behavior, and loss of response to therapy. Tumor subpopulation interactions may play a regulatory role in this process. Tumor heterogeneity has obvious consequences to the design of effective therapy. It provides one rationale for combination therapies and suggests that initial treatment should be early and comprehensive. The continuing emergence of new clones suggests that treatment which is unsuccessful at one point might be effective later. Assays to predict effective therapy for individual patients need to address the multiplicity of tumor subpopulations and the ability of these subpopulations to influence each other. Subpopulation interactions may also be useful in therapy design, as may be efforts to control the extent of tumor heterogeneity by agents which effect cellular differentiation. 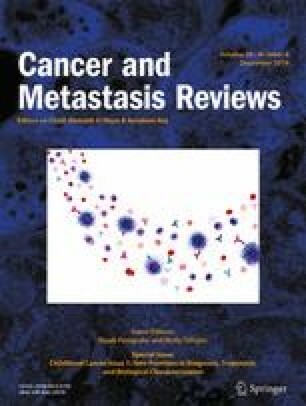 Thus, tumor heterogeneity presents both problems and, perhaps, new solutions for control of cancer.